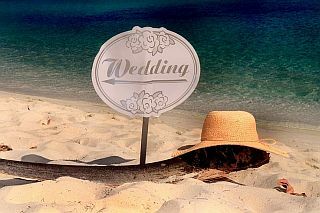 •Personal guidance with every aspect of your wedding and vacation on St. John. •Your marriage ceremony personalized just for you. •Your wedding location. All National Park Beaches and Sugar Mill ruins included. Anne Marie will also come to your Resort or Vacation Villa for your wedding. •Two Certified Copies Of Your Marriage Certificate. After your wedding, Anne Marie files your paperwork with the court so you are legally married. Two official copies of your certificate of marriage are mailed to you, from the court, within 30 days. •On site Wedding Coordinator the day of your wedding. •Unlimited Consultations With A Thirty Three Year Resident Of St. John Who Has Married Thousands Of Couples. All of your hard work and great communication made the whole wedding experience so smooth and worry free. We loved Cinnamon Bay Beach and can’t wait to get back to the USVI. •If you want additional services (Photographer, Florist, Musician, Videographer, Caterer, Hair & make up, etc.) Anne Marie connects you with the best in each category. You choose who is best for you. With Anne Marie as your Wedding Coordinator there are no hidden fees, no service charges, no taxes, no inflated vendor fees. Beware of “Package Deals” with other Coordinators. With Anne Marie you get every thing you need to be married in a Personalized way in a fabulous location for only $400.00. Phone her now to get started.